1. I barely know all the ins and outs of football. But i do know that a score of 29-0 in the 3rd quarter does not provide good odds for the team with zero to have a chance. 2. I seriously dread the gazillion analyzations and interviews that will follow trying to figure out what the heck happened to Denver. I still love you Peyton. You and your family are good people. I would love it if he didn’t answer to anyone. 3. There should be a commercial committee that turns down lame commercials. If you can’t bring something completely epic to the table, go home. For example, the Jordache commercial. I certainly hope they get a good return on the money they spent to run their commercial three times. Speaking of that, NO COMMERCIAL should be repeated during the Super bowl. Ever. It’s the one day that people will actually watch them so it is Fox networking fail not to fill every slot with a new commercial. 4. Due to “snowmageddon” round 2, I was unable to leave my house for a party. Now I have entirely too much dip for one person. I do not however have too much beer and am secretly glad that I am not sharing that. Neither of these scenarios are worth devastating my calorie counter app over. 5. The National Anthem. I should probably be ashamed that I don’t appreciate the way it was done by what I am sure is an amazing person. But I just felt like it was too fancy for a crowd that are shoving hot dogs and beer down their throats all while huge men will be fighting over a ball two minutes after her performance is over. 6. Best part of this whole night? 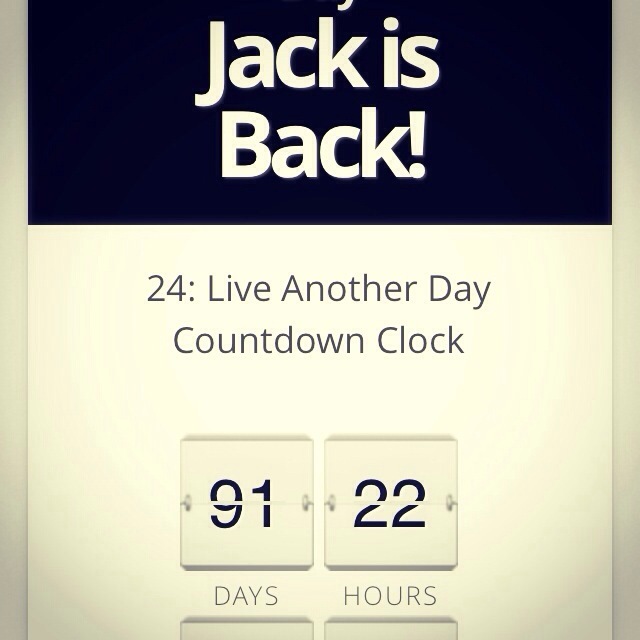 JACK IS BACK! That’s right! 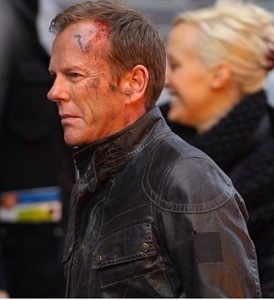 Jack Bauer is coming back. I should probably start preparing the new friends I have met since he left us. They will see a side of me that I am not sure they are ready for. Technically this should be number one on this post but it should just be a given that no matter the placement on a list, Jack is ALWAYS number one. I have actually been texting with a new friend who is unaware of 24 or Jack and I think he thinks that I am kidding about unfriending him. I am not kidding. I am so fairly certain that 95% of anything I post socially from this point forward wi be about Jack Bauer. 7. Even if you hate Bruno and his music, the halftime show was good. There were no wardrobe malfunctions. Miley wasn’t twerking with her tongue out. Nobody was using it as a platform to shove their agendas down your throat. I don’t have to worry about explaining to my nieces what any words or movement means. It was a happy vibe. There really is nothing to complain about here. So just be nice. Some of you wouldn’t be happy no matter who was up there. 8. The Seattle uniforms really are fashioned quite nicely. 9. I LOVE all the military attention given during commercials. Wouldn’t it be nice if we really gave them that much love and attention all the time? 10. I have told everyone I know, but it’s worth repeating. Do yourself a favor and try Butterfinger Cups. They are life changing. Trust me. 11. I almost forgot to mention Joe Nameth’s fur coat. I can’t hate him for boldly wearing it like he meant to or something. And I certainly hope that when I am his age, I am so confident in myself that I am willing to wear an oversized fur coat in front of the planet on national television. You go Joe. 12. I am not even remotely ashamed to admit that I would give my left arm (or both arms) to be the girl in the commercial with John Stamos. My. My. My. I would go through a uterus transplant to have his babies if I could. Too much? 13. I am a sucker for a bald man. Even if he is as d as Bruce Willis. If he was single, I would ask him to be my Valentine. Happy Monday! Make it a great week!! !